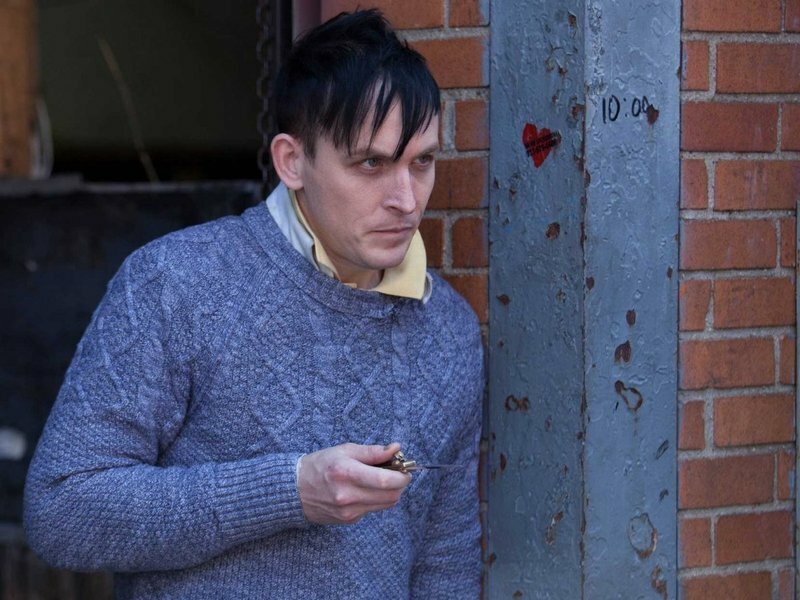 ...speculated that Gotham will have Osborn Cobblepot turn into The Penguin sooner rather than later. ...uncovered Charles Michael Davis' pre-The Originals roles. You can totally tell he was a model. ...investigated a few TV stars' wives. Click through if you're looking for information about the spouses of Sleepy Hollow's Tom Mison (she's pretty crafty), or Supernatural's Jared Padalecki and Jensen Ackles (both actresses). 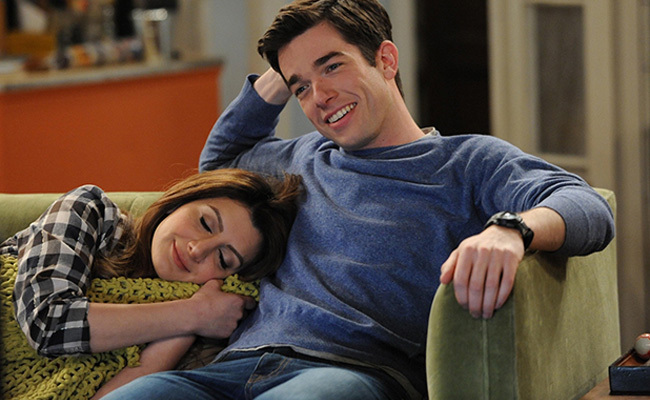 ...Mulaney knows enough to feature a ringer or two, beginning with Martin Short, who plays his loopy comedian and game-show-host boss, Lou Cannon. Short is a tremendous physical comedian, and he can sell the gags that Mulaney can’t quite pull off. Thankfully, the show makes great use of Short’s talents. Not only does he careen around the set, he has ingenious comic timing. Cannon tells Mulaney that he likes “fast setups and slow punch-lines,” which seems to apply to Short himself, though there are times when his fast setups are followed by rapid-fire punch-lines, too. 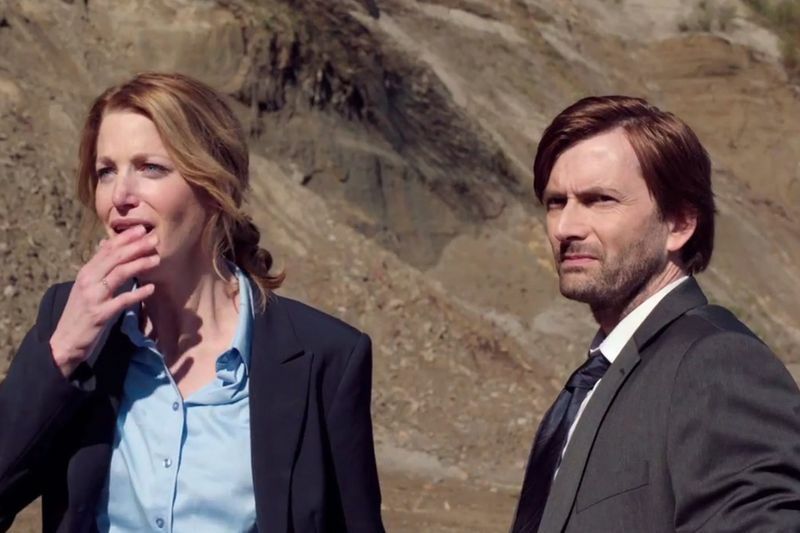 ...marveled at how much British TV David Tennant has done that hasn't hopped the pond. ...coped with the loss of Trophy Wife by tracking down Michaela Watkins' other projects. ...discovered that it's super weird to see H. Jon Benjamin and Dan Mintz, who play Bob and Tina Belcher on Bob's Burgers, talking to each other in real life. ...traced the Elliott Gould's career highlights leading up to his across-the-hall hippie neighbor role on Mulaney. ...made a slideshow of all the guest stars coming to The Simpsons this season (including Don Hertzfeldt, an animator who did an amazing couch gag for the premiere). ...placed The Simpsons in the timeline of the longest-running shows on television (it's getting up there). ...uncovered Stephanie Beatriz's theater background before Brooklyn Nine-Nine. ...discovered Ryan Hansen's elusive wife, who was Kristen Bell's best friend and only witness at her wedding. ...caught up with both Sabrina and Jeremiah from Return to Amish. ...From the series premiere, it looks like Gotham fits somewhere between Burton’s and Nolan’s creations, not quite as stylized as the former, but not quite as contemporary as the latter. It’s dark—even the daytime scenes feel overcast—and the streets feature little retro touches, like checkered cabs. 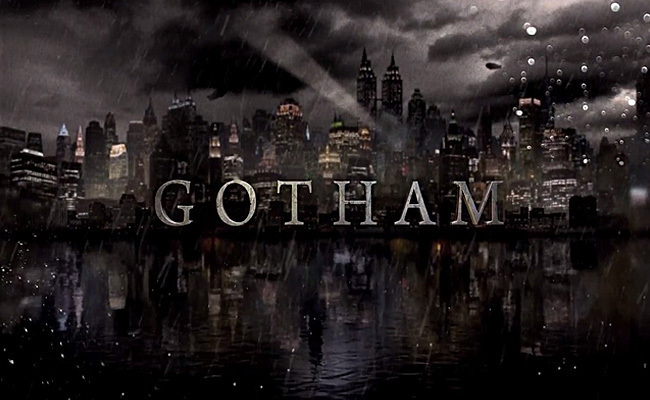 The striking visuals make clear that Gotham really is about the city first and foremost. While the first episode mostly follows Gordon, it does so to explore the city’s institutions (legal and illegal), how they overlap with each other, how each vies for control. I was about to interview the creator of the WGN America series Manhattan. 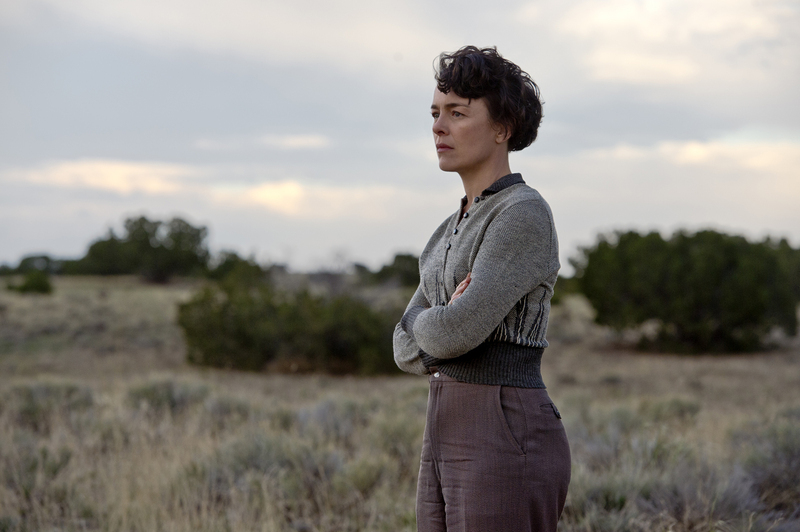 He told me about writing strong female characters, the crazy parties that happened in Los Alamos, and what might be in store for a second season (since the show isn't just about the bomb). ...loved Donal Logue's Bullock in Gotham so much, I traced the other Bullocks from movies and TV. ...explored the charms of Reid Scott, who plays Dan Egan on Veep. ...speculated about the chances for renewal for You're the Worst and Married, and about whether the move to Sunday would be good or bad for Brooklyn Nine-Nine (illustrated with a lot of amazing Andy Samberg faces). ...found out who created the Miss America pageant, and what the winner gets. One of my favorite assignments of the year is the annual Fall Arts Preview, where I look ahead at the season's upcoming cultural events. You can download the PDF above, or read it online here. Boardwalk Empire returns tonight for its last season! 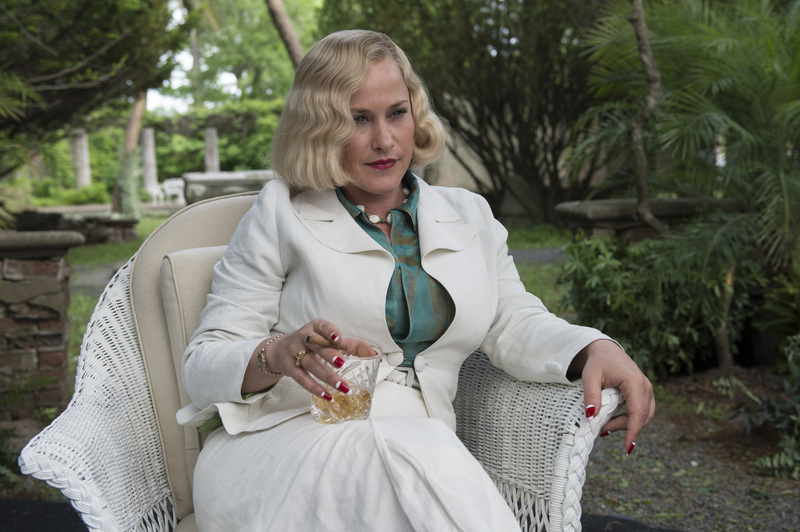 For Bustle, I wrote an appreciation of Sally Wheet, Patricia Arquette's character. Between Boardwalk Empire and Boyhood, Arquette is having a heck of a year. ...wrote about how Frozen is the highest-grossing movie by a female (co-)director. It's sitting at No. 5 right now, and the next woman is at No. 74. ...explained what the whole Stand Up to Cancer thing was (and why it's worthy). ...became really jealous about Caroline Gruosi-Scheufele's job as creative director of Chopard jewelry. ...opined that we still have a long wait before Sherlock and True Detective return. ...wrote about the time that the director of Factory Girl called Brittany Murphy's husband "a con artist and a bad man." 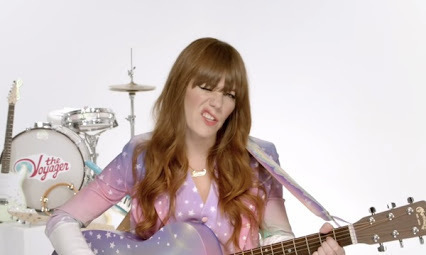 Bustle TV Coverage: The 2014 MTV VMAs. Which videos should have been nominated? Why is the awards statue a moonman? Why is there no host this year? Who votes on the VMAs, anyway? Who won Video of the Year? How do these VMAs compare to last year? Are Ariana Grande and Big Sean dating? ...wondered what's next for Anna Paquin after True Blood. ...opined that I want a BFF like Tina Majorino. ...contemplated the complexities of making a historical show with entirely fictional characters, like Manhattan. ...rejoiced that Miss J is no longer fired from America's Next Top Model. ...told the fashionable cord-cutters how to watch America's Next Top Model online. ...then explained to the unfashionable Project Runway fans who YouTube fashion icon Bethany Mota is.